Reveal your inner power, with wearable sculptures. Miss Bergonzi is an artist issue of a long lineage Monaco family. 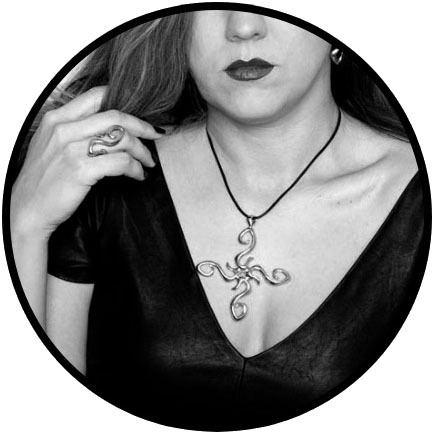 She creates original pieces of jewelry, brazes metal or carves them in wax. Her miniature sculptures are made by hand in Manhattan, on order. Golds, Sterling Silver and Brass. They are unique pieces, even when part of a series. 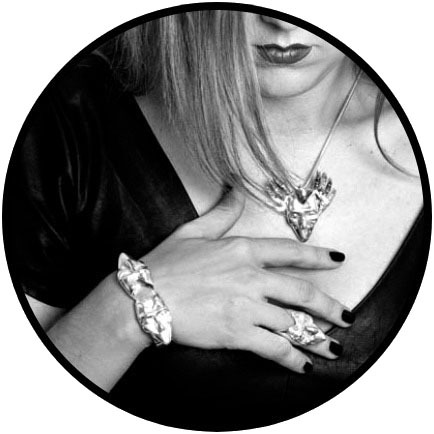 You can co-create your own jewels, in communication with the artist herself, for yourself, a special person or event. Studio visit available, in Greenwich Village. By appointment only.